I'm really, really glad I liked A Night in Old Mexico, the engaging comedy-drama that had its North American premiere Monday at SXSW. And not just because the picture -- a Tex-Mex-flavored shaggy-dog story with a touch of Elmore Leonard to its twisty plot -- is a worthy star vehicle for the great Robert Duvall. 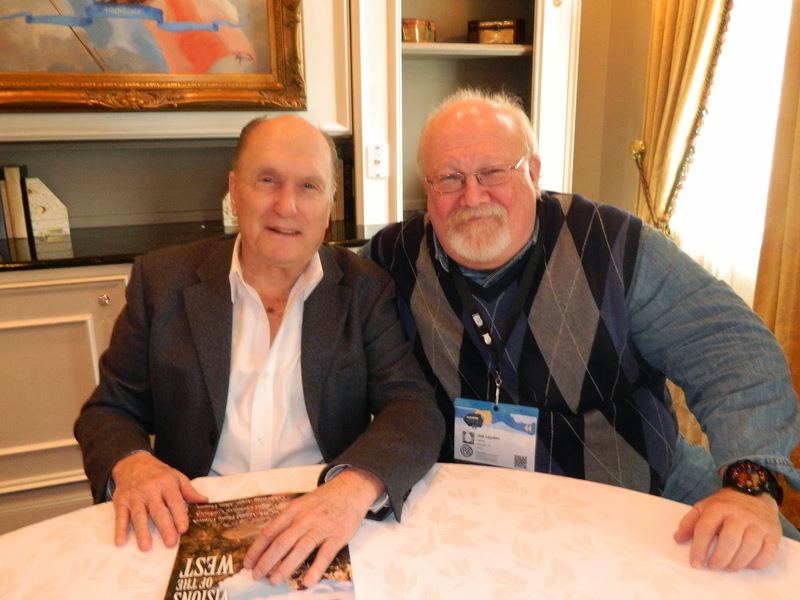 Another good reason for my being happy: I was committed to doing an interview with Duvall for Cowboys & Indians magazine during the festival. Granted, I chatted with the Oscar-winning screen icon a day before my Variety review appeared on line, at a time when, theoretically, he would not have known what I thought about his movie. And maybe, had I not found it up to snuff, I could have lied if he'd asked me point blank for my appraisal. But here's the thing: I don't think it's possible to lie to this guy. As I have noted during previous encounters: He looks you right in the eye, and expects you to tell him the truth. And so you do. And if I had disliked A Night in Old Mexico -- that would have made for a very awkward interview. Indeed, I probably would have wimped out and called in sick or something. Look, it was very cold and rainy here in Austin last Saturday evening. I'm pretty sure I could have pulled it off if I'd picked up the phone Sunday morning and, while faking a coughing jag, told the publicist: "Gosh, I'm sorry, but I sure don't want Mr. Duvall to catch what I have..."
I can think of three or four times over the years when I actually have canceled interviews with actors or directors at film festivals after I saw their movies, and found them wanting. No, I'm not naming any names. But I will say this: In one case, the publicist practically begged me to reconsider -- because several other journalists had canceled their interviews with the director as well. I said I was sorry, but I was so sour on the director's movie that I feared I could not remain polite during any conversation I might have with this obviously untalented poseur. That director went on to earn an Academy Award nomination, and win quite a few other prizes, for directing one of my favorite films. Go figure.